Felbrigg is a small parish in the northeast of the county, close to the coast. The name is a combination of Old English and Old Scandinavian, meaning 'bridge made of planks'. 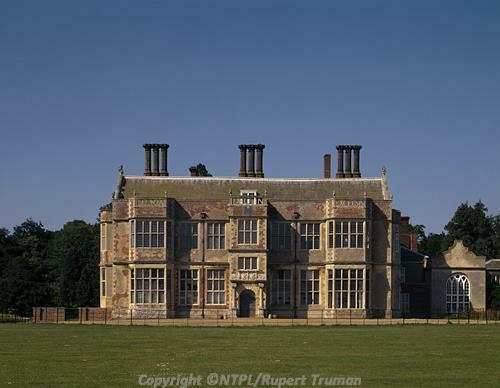 The parish is dominated by Felbrigg Hall (NHER 6633) and park (NHER 29822), which are now owned by the National Trust. There is some evidence for prehistoric occupation. Neolithic flint implements (NHER 6583) and Neolithic axeheads (NHER 6581, 6584 and 24790) have been found. The cropmark of an oval ditched enclosure (NHER 39128) in the north of the parish may be the remains of a Neolithic barrow. A possible Bronze Age round barrow (NHER 6401) was excavated in the 1920s and the 1950s, but no artefacts were recovered. Three ring ditches (NHER 12155), visible as cropmarks on aerial photographs, may be the remains of Bronze Age barrows. They are situated at the head of a valley, not far from a Bronze Age barrow cemetery (NHER 38580). Roman pottery (NHER 6585 and 6586), Roman coins (NHER 33826) and Roman brooches (NHER 33827) have been found, as well as a Roman figurine of the god Priapus (NHER 33827), but no Roman settlement can be identified with any certainty. Although Felbrigg is recorded in the Domesday Book as being a fairly substantial and wealthy settlement, no Saxon finds have yet been found. During the medieval period Felbrigg was an agricultural settlement, and medieval ridge and furrow (NHER 36430) is visible on aerial photographs. Various medieval hollow ways (NHER 19027) and enclosures (NHER 40183) are visible on aerial photographs of Felbrigg Park (NHER 29822). Post medieval former field boundaries are also visible as cropmarks (NHER 39126, 39129 and, 39130). However, there is also evidence of medieval and post medieval industry. A medieval iron working site (NHER 6469) has been found within the park, and the remains of a post medieval brick works (NHER 39178) with kilns and clay pits have been recorded from aerial photographs. Medieval coins (NHER 34889, 33826 and 33827) and pottery fragments (NHER 6587) have been found in the parish. St Margaret's Church (NHER 6637) dates mainly from the 14 and 15th centuries, and contains some excellent examples of medieval memorial brasses and a 14th century wall painting. Felbrigg Hall (NHER 6633) was built in two phases from 1620 to 1687. The striking differences between the two main building phases illustrate the changes in architectural style that took place during the 17th century, interrupted by the Civil War. The 18th century walled gardens contain an 18th century dovecote and an orangery. Felbrigg was the home of the Wyndham family and the Ketton-Cremer's, and it was Robert Ketton-Cremer, a well-known historian, who donated the Hall and its contents to the National Trust. The Hall is surrounded by a park (NHER 28922) which gradually developed from a medieval deer park into a landscape park, parts of which may have been designed by Humphry Repton in the late 18th century. In the Great Wood the 'Victory V' was planted to commemorate the end of World War Two, and is a striking part of the design of the park. http://www.nationaltrust.org.uk/main/w-vh/w-visits/w-findaplace/w-felbrigghallgardenandpark/. Accessed 21 November 2006.